Add a touch of modern elegance to your space with a design that is equally functional and stylish with OFM’s ESS-2085 Upholstered Home Desk Chair. 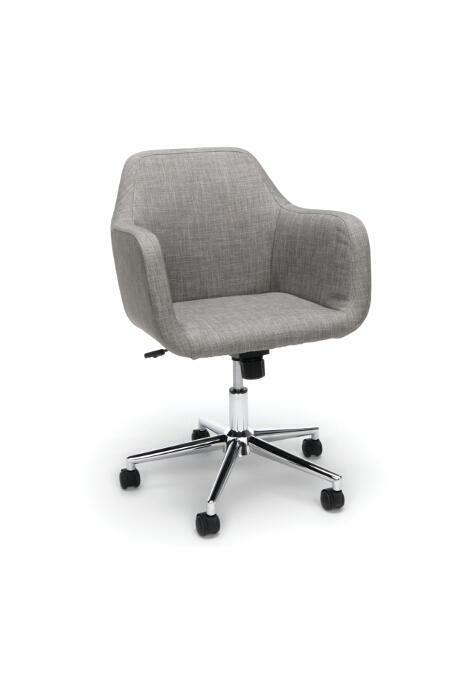 This expertly-wrapped and simple, streamlined design is height-adjustable to tailor your professional space. The chrome-finished base offers you 360-degree swivel, tilt and casters for easy mobility and comfort. The durable stain resistant upholstery is sure to complement your decor. Arm Height: 26" - 28.75"
Overall Height: 32.75" - 35.50"
Seat Height: 17.50" - 20.25"
I would like to receive pricing for the following item: OFM ESS-2085 Home Desk Chair.